This is a post written by Diane Toomey republished here with permission from Mongaybay.com . Original source. That was written in the 19th century, when the Greater Adjutant stork (Leptoptilos dubius) — an imposing bird that stands a stunning five feet tall with an 8-foot wingspan — could be found throughout much of South and Southeast Asia. The description, while less than kind, can be difficult to refute. Like its fellow carrion-eater, the vulture, the Greater Adjutant’s head is naked except for a few scraggly feathers, giving it the appearance of a balding old man. A pendulous orange pouch dangles loosely from its neck. No melodious song redeems it — its vocalization has been described as a grunting croak. And no graceful movements can be seen as it walks. Indeed, this stork gets its name, which refers to a military officer, from its stiff, awkward gait. 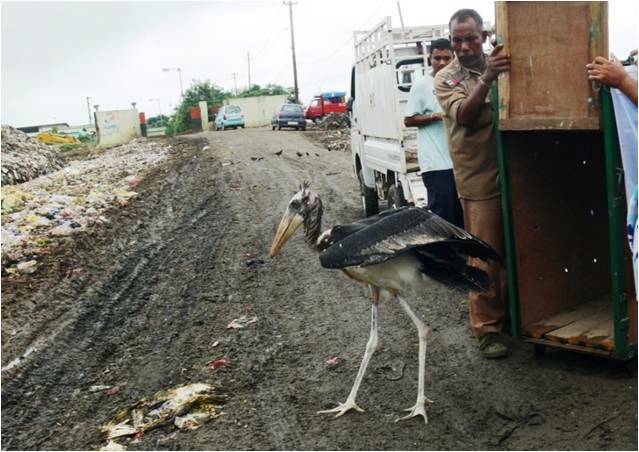 The widespread destruction and degradation of the wetlands that this scavenger bird needs to forage, and the loss of its nesting trees, led to a decline so severe that the Greater Adjutant went from being one of the most common storks to the rarest. 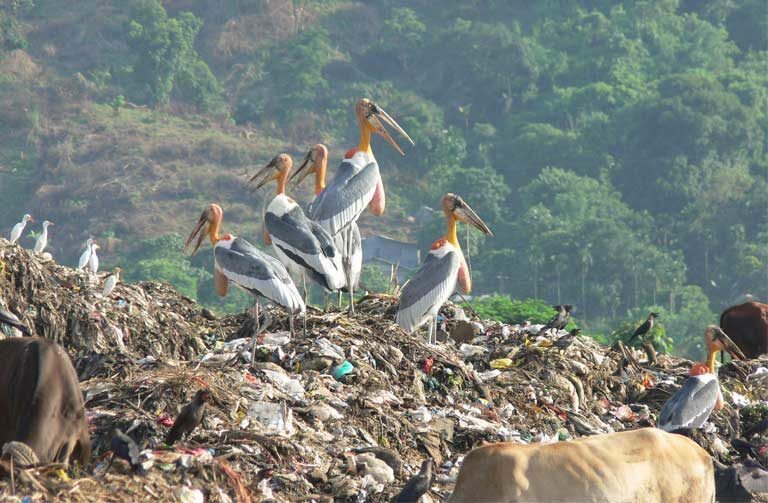 By the 1990s, one estimate put the number of Greater Adjutants at a mere 1,000 or so. Today, its IUCN status is Endangered. In 2014 the Zoological Society of London identified the bird as an “EDGE” (Evolutionarily Distinct and Globally Endangered) species, meaning one that is close to extinction. Ugly bird? Don’t use that descriptor with Purnima Devi Barman. Barman first saw Greater Adjutants as a child growing up in a rural part of the Indian state of Assam. In 2007, she chose L. dubius as the focus for her Ph.D. in wildlife biology. Working in the villages of Kamrup District in the Brahmaputra Valley — one of the few places on earth where this bird still exists — Barman found very few Greater Adjutant nests. What she did find in abundance were people who viewed the birds as dirty pests. So much so, landowners routinely cut down the tall trees that Greater Adjutants nest in. With no protected areas for the birds, and nesting trees found almost exclusively on private property, the situation was dire. Barman couldn’t shake the thought that the storks needed an ally. “Some people go for the Ph.D. and don’t think about the habitat, about the species. Their work is just confined to the thesis. But this should not be,” she asserts. 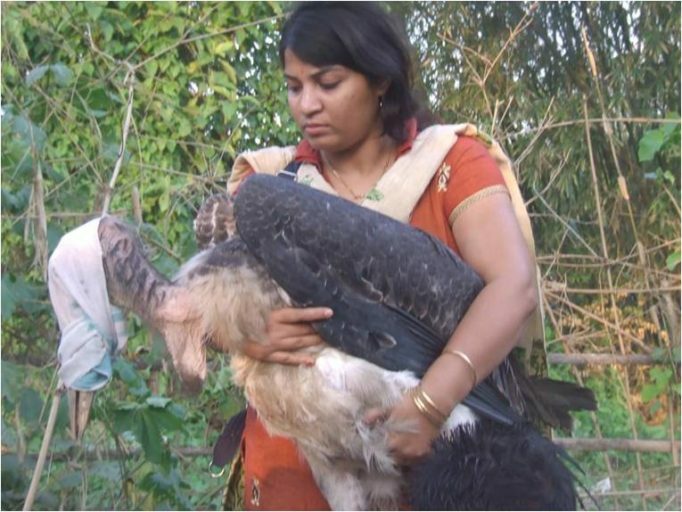 So Barman, who works for Aaranyak, an Indian wildlife conservation organization, set out on a one-woman campaign to instill a sense of local community pride and “ownership” in the Greater Adjutant. While Barman took some traditional approaches to shifting public opinion concerning the Greater Adjutant — creating an educational slide show praising the importance of the bird and its ecosystem, for example — she knew she’d need to do much more. She enlisted the help of teachers at a local school where most of the tree owners send their children. 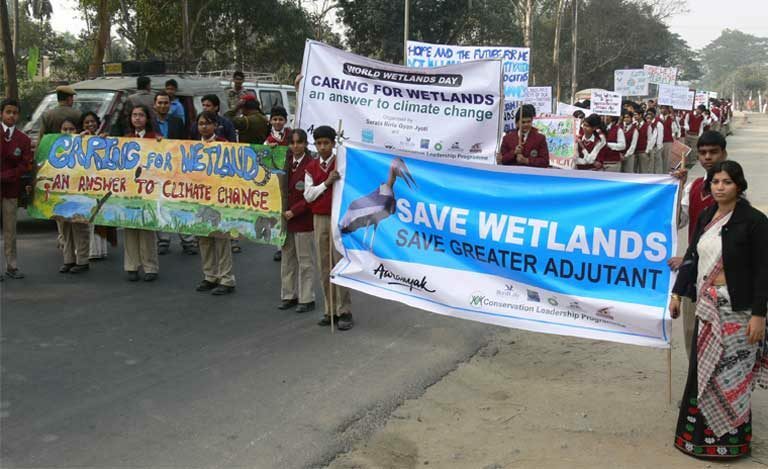 On World Wetlands Day, the kids showed up at home chanting their praises for the hargila, as the Greater Adjutant is locally known, urging protection of nesting trees, and also handing out free coffee mugs — public radio-style — featuring images of the bird. To the surprise of many, Barman managed to get a popular Indian movie actress to make a local personal appearance. “I told the film star that you have to offer respect to all the tree owners. Just for today, you are not going to get that respect. You are going to offer it [to the villagers and the Greater Adjutant]. This really worked!” she exclaimed. To reach the women in these conservative, traditional Indian villages, Barman had to come up with even trickier tactics. She started attending weekly women’s rituals­ at the local Hindu temple, and eventually got permission to present her hargila slideshow there. She organized cooking contests for the women, and afterwards — yes, you guessed it — she’d break out her slideshow. 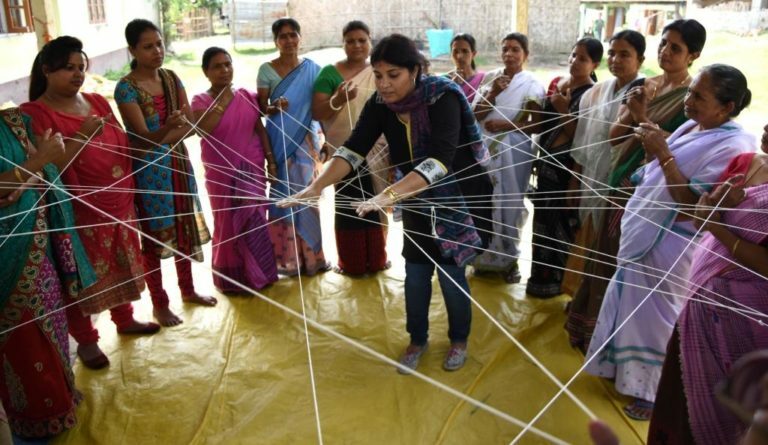 She also played a web-of-life string game that saw even the shyest of female villagers participating. The women were particularly struck, and proud, to learn that this very rare bird had chosen to breed only in their local villages. Barman knew attitudes had changed when she began getting calls from villagers whenever Greater Adjutants fell from their nests, something the birds do with alarming regularity, especially in monsoon season. In the past, those juveniles would have pretty much been doomed. But now that Barman was able to collect them, they could be sent to the Assam State Zoo for care and, hopefully, eventual release. In time, Barman became affectionately known as “Hargila Baideu”, Stork Sister, to the locals. Since 2010, not a single nesting tree has been cut down in the areas where she does her outreach work. 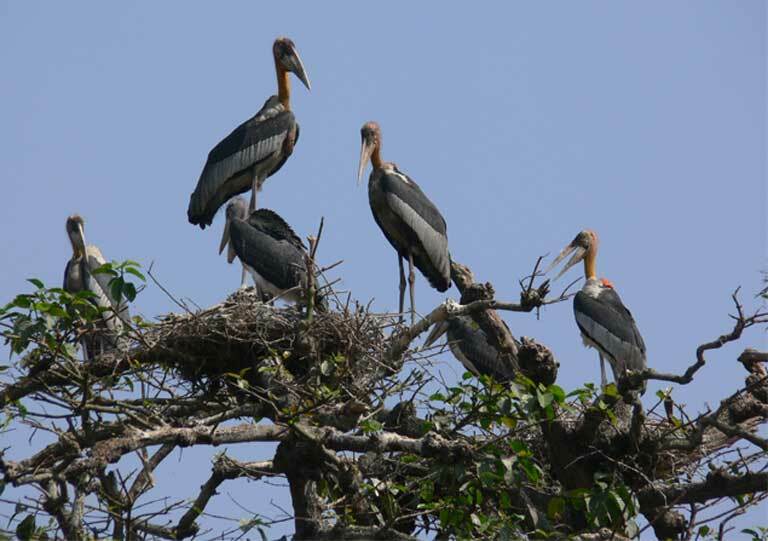 Last year, she counted 150 Greater Adjutant nests compared to around 30 in 2007, and she estimates there are now about 550 Greater Adjutants in Kamrup District. So profoundly has the biologist’s work been felt in local communities, that it has even affected the way villagers pray. It takes a lot to alter the devotional songs sung by devout Hindu women, with chants passed down unaltered for centuries. To Barman’s amazement, when the villages celebrate the birth of Lord Krishna, these songs now include prayers for the hargila’s safety. Farther afield, religion has also played a role in the conservation of Greater Adjutants in the Indian state of Bihar, where a lot of good wetland habitat still exists. 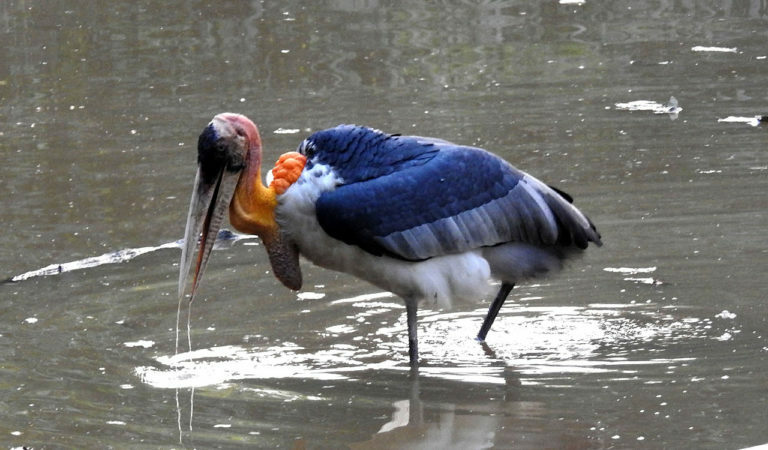 In 2006, Arvind Mishra, with the Indian Birds Conservation Network, discovered that Greater Adjutants were breeding in Bhagalpur District. Given how few of the birds remain, it was a major find. He also strongly emphasized the Greater Adjutants’ public service role: the birds consume both rats and snakes. The approach has been effective. 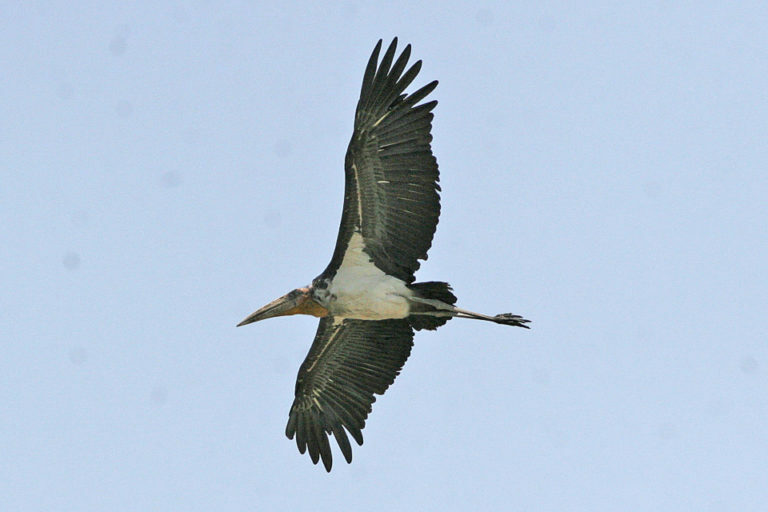 Mishra estimates that the number of Greater Adjutants in Bihar has risen from 78 in 2007, to about 500 today. With the help of the Bihar government and a local NGO, the Mandar Nature Club, Mishra has established a rescue and rehabilitation center devoted exclusively to the care of downed Greater Adjutant chicks. Barber has observed the efforts of both Mishra and Barman firsthand. He insists that if these birds are to be saved, it will be local communities that do it. There’s a third Greater Adjutant breeding area, but unlike in India, this one is on protected land. The Tonle Sap Great Lake on the Mekong River in central Cambodia is a UNESCO Biosphere Reserve. Its Prek Taol Core Area is a significant breeding stronghold for a number of large water bird species, including the Greater Adjutant. The Wildlife Conservation Society (WCS) maintains a monitoring and protection program at Prek Toal, in cooperation with the Cambodian government. Beefed up security there has meant that egg collection and hunting of Adjutant chicks has stopped. Ian Barber is especially impressed by Purnima Devi Barman’s outreach to village women. Barber is referring to Barman’s “Hargila Army,” a self-help group of 70 women, mostly recruited from families that own nest trees, and all armed with expert weaving skills. 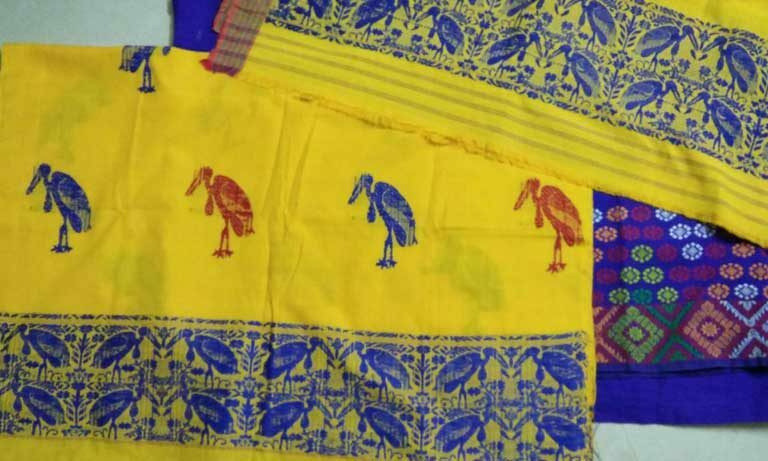 Assam is famous for its gamocha towels and other fine textiles, woven from cotton or silk and decorated with traditional motifs, such as flowers — now those goods are being emblazoned with Greater Adjutant storks. 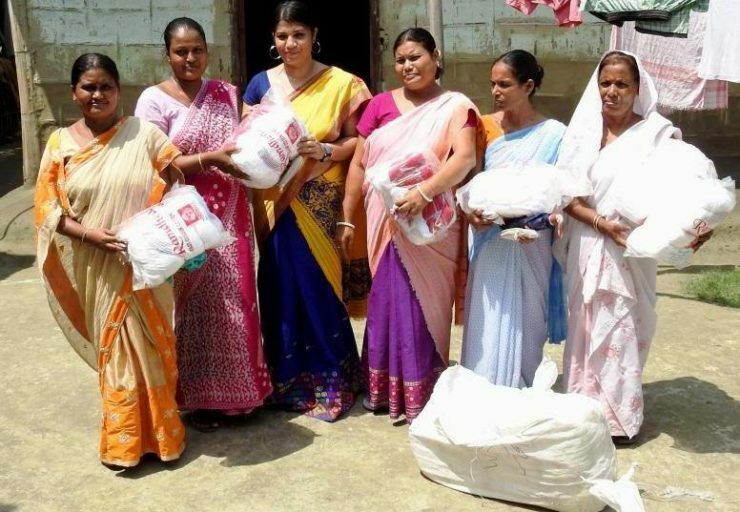 Barman employed another of her “tricks” to make this happen: she secured a government donation of high-tech handlooms and high-quality yarn. Then she invented a pledge program. “You are going to be the Hargila Army! Protector of the Tree! Protector of the Bird! Your duty is to weave the stork’s motif on the cloth!” the biologist extolled her newly recruited troops. 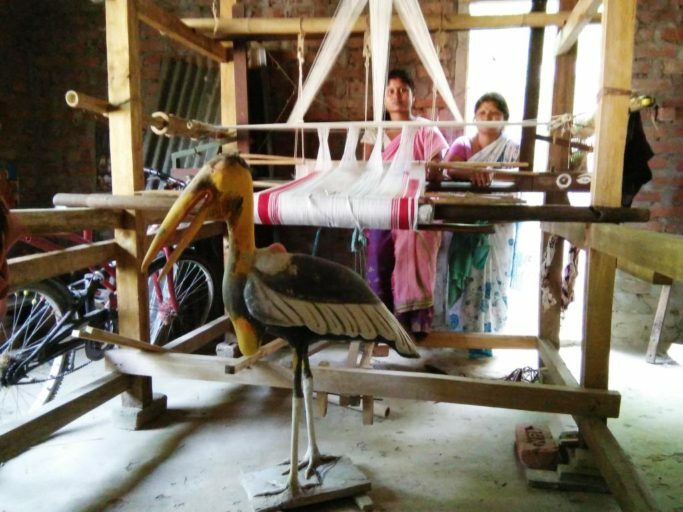 The hope is that these mostly poor village women — with a government marketing assist — will benefit from the sale of Greater Adjutant decorated gamochas. 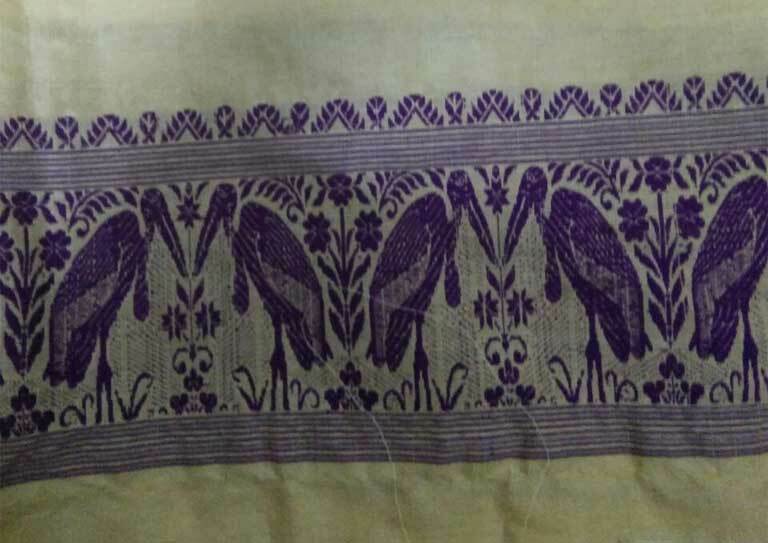 As a bonus, these widely sold and beautiful textiles will enhance public awareness in India and beyond, and help to transform the image of a species that has long been seen as a despicable pest. Barman has garnered other government support. Thanks to Kamrup District’s sympathetic commissioner, all the nesting trees now have nets around them to catch falling chicks. Assam’s forestry department participates in rescues, as do local police. The Kamrup Police Department even lets its vehicles double as chick ambulances when injured birds need a ride to the zoo. Barman cautions that this local support always remains tenuous. 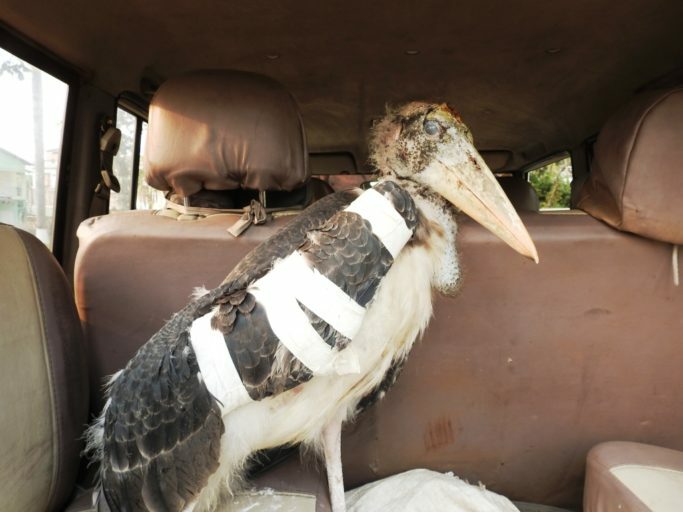 Each time a government agency changes officials, which happens with some frequency, she must begin her Greater Adjutant lobbying campaign all over again. 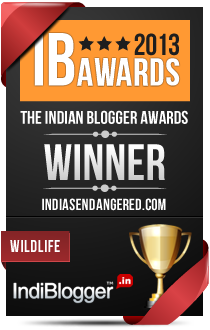 This year, Barman earned an India Biodiversity Award, given by the Indian government in partnership with the UN Development Programme. She also received a Royal Bank of Scotland’s Earth Hero Award. There have been sacrifices too. 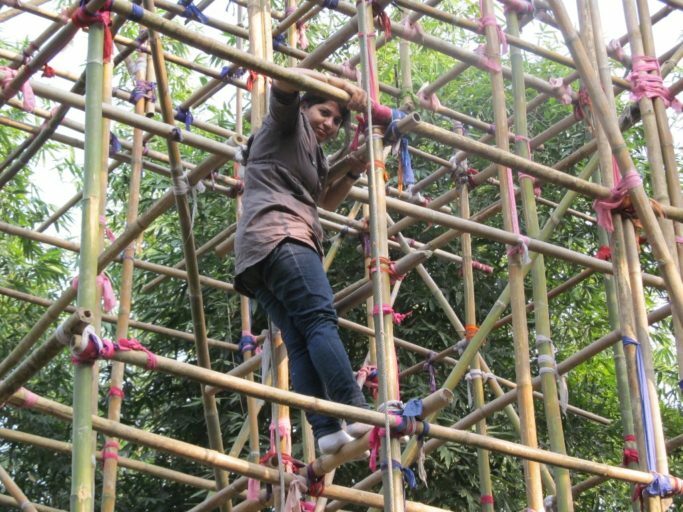 Barman put the Ph.D. she started back in 2007 on hold to devote time to community work — a vocation she admits is even more challenging than climbing a 75-foot bamboo tower to observe Greater Adjutant nesting behavior. “I’m working with 10,000 people; I think that it’s very easy to control animals, but managing people…” Not so much. Still, she is very pleased at how much attitudes toward the Greater Adjutant in Kamrup District have changed. But in the same breath she admits that much more needs to be done. She’s hoping to begin a planting program to replace aging nesting trees. 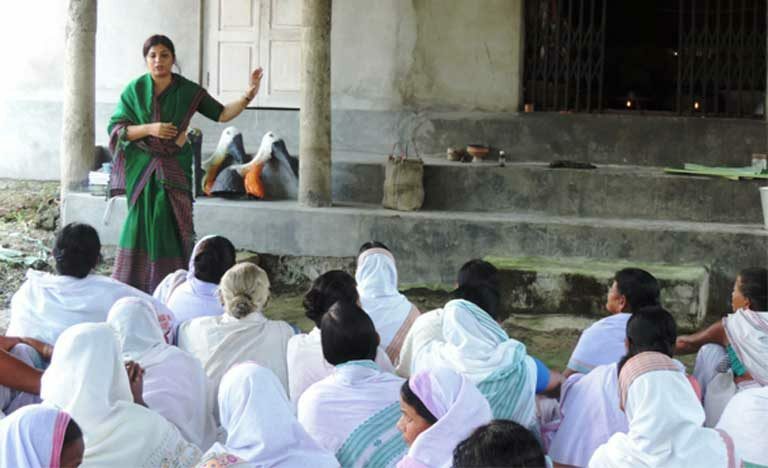 She wants to expand her work to other areas of Assam where most of the nesting trees have been cut down. And she dreams of establishing a rescue center devoted to Greater Adjutants, like the one run by Mishra in Bihar. But right now she has no way to fund it. For now, the chicks that get into trouble, that villagers and police save, are housed by the Assam State Zoo and released wherever large flocks of adults are found — with only the bald hope that the young birds will survive. But don’t imagine these inelegant scavengers winging their way back into the wild, in the style of Born Free. The truth makes for a less heroic and less elegant picture: “The easiest thing is to put them in the garbage dump,” says Ian Barber who has been to the typical release site. 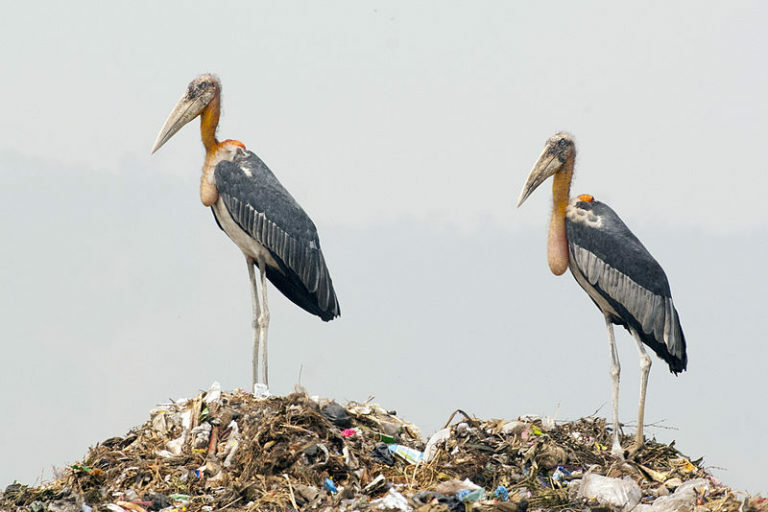 With so few wetlands left in Assam, the birds have adapted to foraging in the massive dump on the outskirts of Guwahati, Assam’s largest city. “There are flocks of 50 to 100 birds wandering around — in amongst all the other things going on there — trying to find some food,” says Barber. Of course, to a Greater Adjutant, that’s probably like dining at a five star restaurant. For Barman, attending one of those releases is an occasion for celebration, like seeing a family member off on an important journey. 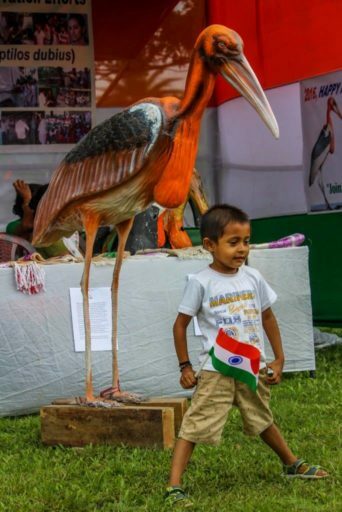 She hopes that one day the protection of the Greater Adjutant stork in Assam is ranked as highly as the conservation of rhinos and tigers, species with a tad more charisma that are still found in the region. Barber remains cautiously optimistic about the possibility of saving the bird from extinction. Such a remarkable woman! Loved the story, thanks for pointing it out to me. 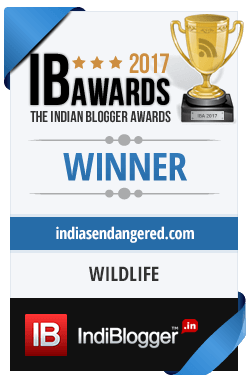 You her talking about the preoccupation with saving the tiger to the neglect of other endangered species reminded me of a certain blogger I had befriended at a Delhi Indiblogger meet. She had kept insisting that she worked to highlight the endangered species of India, ‘not tigers.’ 😀 Remember, Atula?